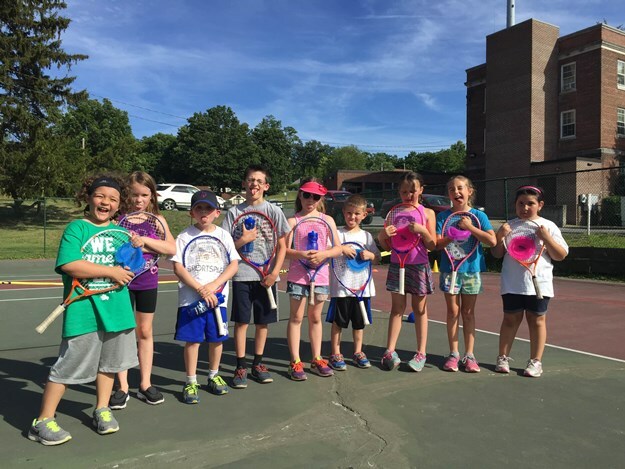 Tennis is a great fit for schools! It's a safe, non-contact sport that can be played anywhere and by everyone. Tennis is now sized right for age and level, with shorter racquets, lower-bouncing balls and smaller courts – which means it’s an easy sport to set up on a playground or in a gym. A traditional tennis court is no longer required to get started with tennis, making it perfect for physical education classes and after-school programs like Kids’ Tennis Clubs. Click here for additional information on what USTA Eastern can do to assist!